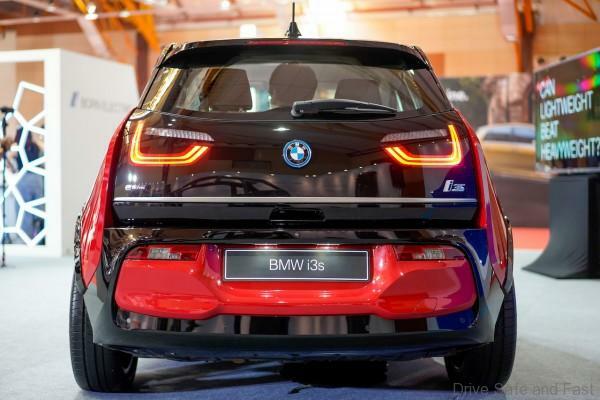 BMW Malaysia launched the i3s yesterday at the 2019 Malaysia Autoshow 2019. First-Ever BMW i3s is the only emission-free vehicle from a premium brand. 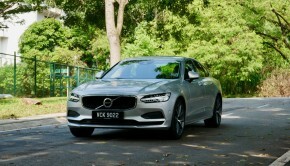 Last year, Mercedes-Benz Malaysia hinted at the EQC‘s arrival but it hasn’t yet matterialised. The BMW i3s is a 5-door hatchback aimed at eco-conscious Malaysians. It is priced at RM279,000 and can be purchased through BMW’s Balloon Financing Plan from RM3,188 a month (80% loan, 5 year tenure). In terms of performance, the BMW i3s gets a 184hp/270Nm synchronous electric motor with an all-electric range of 260km. It gets from 0-100km/h in 6.9 seconds and has a top speed of 160km/h. It is equipped with Full LED headlights, a variant-specific rear spoiler, 10mm lowered sports suspension, an increased track width of 40mm and 20-inch BMW i light alloy wheels in double-spoke style 431 with mixed tyres. Owners will also get access to the BMW ChargeNow service so they can use ChargEV charging facilities 24/7. Having previously delivered more than 120,000 units of BMW i3 vehicles globally, the First-Ever BMW i3s now brings more polished styling accents, advanced integrated technology and a clean design that keeps sustainability in mind every step of the way. 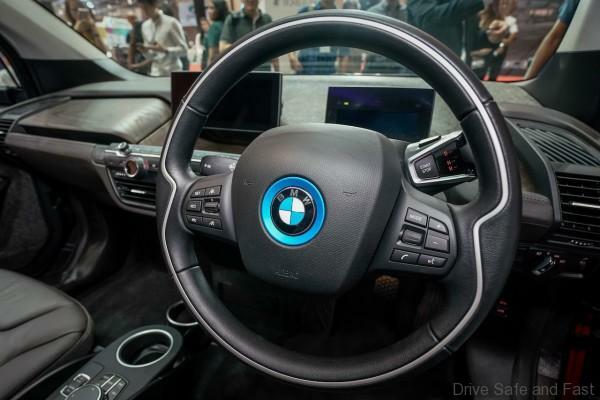 Not only is it a powerful electric vehicle, it is also 80% furnished with recycled and renewable resources – thus staying true to BMW Malaysia’s commitment to automotive sustainability. With the refinement of the BMW eDrive technology, the First-Ever BMW i3s guarantees a locally emission-free drive without compromising on driving force and energy efficiency. The First-Ever BMW i3s generates an impressive maximum output of 135kW/184hp, making it the most formidable machine of its class. The unmistakable, avant-garde exterior styling of the First-Ever BMW i3s has already clinched multiple awards for its design, including the iF gold award for product design, the World Car Design of the Year award and the World Green Car of the Year. 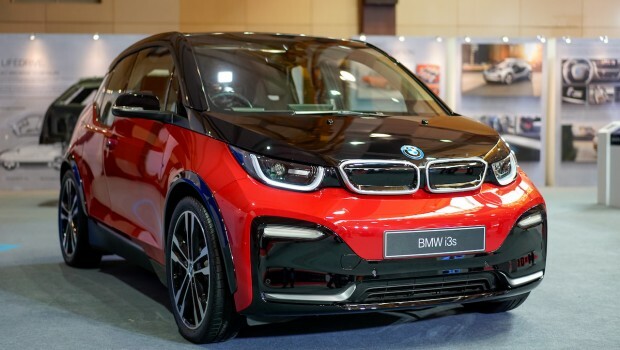 The First-Ever BMW i3s sports a bold front bumper with a black U-shaped surround and a high-gloss black accent for its closed kidney grille, making it more distinct. Lateral trim strips on the front apron in the BMW i Blue further emphasises the width of the urban automobile. 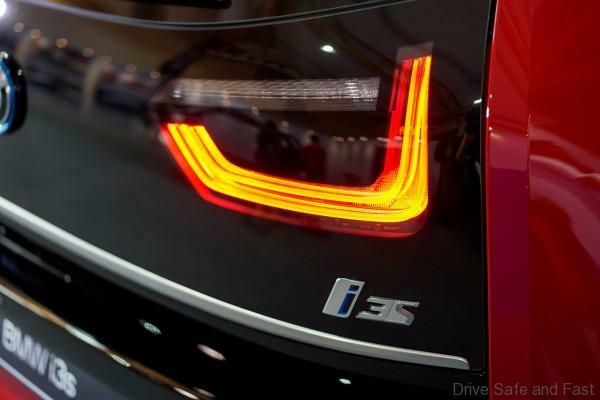 The First-Ever BMW i3s has proven to be the greenest driving force that BMW has developed yet. 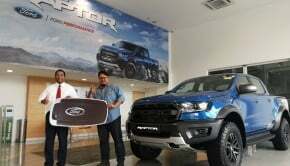 The emission-free vehicle is powered by a formidable synchronous electric motor with a Single-Speed Automatic Transmission. Built for high-powered performance, the First-Ever BMW i3s can reach speeds of up to 160km/h. 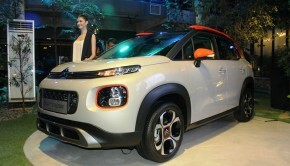 The full-electric vehicle delivers a maximum output of 135kW/184hp, with a peak torque of 270Nm. The First-Ever BMW i3s can sprint to the 100km/h mark in just 6.9 seconds. The lithium-ion high-voltage battery located low in the vehicle floor provides the First-Ever BMW i3s a range of 260km based on the Customer Oriented Electric range in everyday use. The combined electric power consumption of the First-Ever BMW i3s on NEDC cycle is at 14.3kWh for every 100km. Rooted in the LifeDrive vehicle architecture, the interior design language of the First-Ever BMW i3s prioritised the many needs of the driver – comfort, innovation and spaciousness, without compromising on its premium characteristic: sustainability. 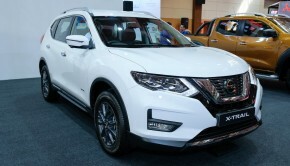 This is reflected through its brilliant use of recycled and renewable resources on over 80% of all visible surfaces within the vehicle; which is key to maintaining the low carbon footprint ideal of electric mobility. 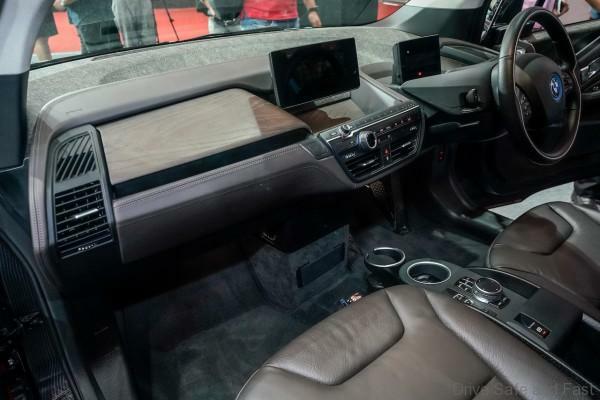 The many sustainable materials used to furnish the First-Ever BMW i3s include recycled plastics, natural fibres and open-pored, unbleached eucalyptus wood. The carbon fibre-reinforced plastic (CFRP) passenger cell also helped achieve that feeling of lightweight spaciousness that every electric vehicle strives for. The BMW i Wallbox also facilitates lightning speed charging at home for a significantly longer all-electric driving range. The BMW i Wallbox provides 11kW of charging power for an electric range of 180km in under three hours. The BMW i Wallbox is equipped with WiFi access and can be operated seamlessly via a smartphone, smartwatch, PC or tablet, and can also access all features of the BMW Digital Charging Service.